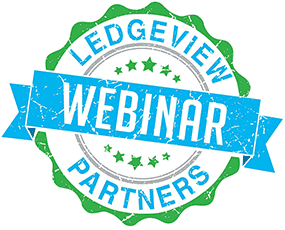 Below you will find Ledgeview’s webinar and live events line-up for November 2016. These educational webinars and live event seminars cover a variety of topics for sales, marketing and service professionals. Increase your pipeline, crush your quota and accelerate your deals to close by aligning your sales and marketing strategies and tactics. Sales, Marketing (and all departments) must align around the needs of the customer to generate bigger and better pipeline, exceed quotas, and drive stronger lead-to-close ratios in order to accelerate growth. 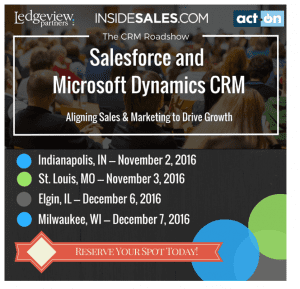 Ledgeview Partners, Act-On and InsideSales.com are hitting the road to provide insight into new approaches and technologies that align sales and marketing that can help your company drive revenue growth that will showcase Salesforce, Microsoft Dynamics CRM, Act-On Marketing Automation and InsideSales.com Sales Acceleration. Cold calling is not a numbers game! If you do not have a discernible strategy, you will be forced to make a tremendous amount of calls to get a tiny handful of appointments scheduled. If you don’t know the profile of your absolute very best ideal clients in detail, you will be making more calls than necessary before you stumble across the correct person. If, however, you know who needs you, when they need you, what they need you for, and how to bring a tremendous amount of value to this prospect quickly, the sky is the limit for you! Want to learn how to get in front of the right person at the right time who has the right need via cold calling? If so, make plans to join us for this special educational webinar and let’s grow your business together! Webinar: Marketing Automation vs CRM: What’s the Difference? Increasing sales revenue (53%), lead nurturing (43%) and customer engagement (37%) are the most important objectives of a marketing automation strategy according to a 2015 study from Marketo & Ascend2. But how do you accomplish these goals? A CRM (e.g. Salesforce, Microsoft Dynamics, etc)? A marketing automation tool (e.g. 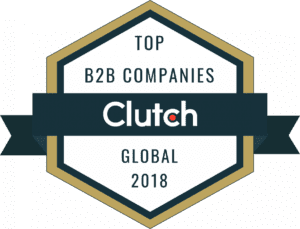 Act-On, Hubspot, Marketo)? Register to attend our complimentary webinar on November 10th as we will examine the core competencies of Marketing Automation vs CRM focusing on the strengths of each, defining their differences and discussing how these business tools work together to help marketers achieve their business goals.